Shawn Matthews was elevated to the Director of Operations for Florida State Beach Volleyball by head coach Brooke Niles for the 2017-18 season, following his position as a volunteer assistant coach for the 2016-17 season. 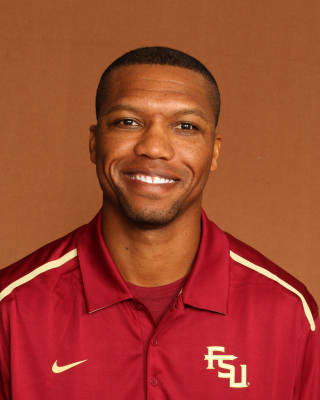 Matthews came to Tallahassee from UAB, where he was an assistant coach for both the indoor and beach volleyball teams. During his first season as the volunteer assistant coach for Florida State he helped lead the Noles to a 29-9 record, a CCSA Championship and fourth place at the 2017 NCAA Beach Volleyball championship. Papaleo played a pivotal role in helping lead the Seminoles to 22 wins over ranked opponents, with 13 of those wins coming against top-10 teams and three over top-5 teams. In Matthew’s first two years at UAB, he helped the Blazers’ indoor volleyball team finish 20-14 and 21-14 overall, in the top of Conference USA, and was instrumental in the development of AVCA All-American Sam Serley and CUSA Freshman of the Year Sam Skinner. Among his successes includes signing UAB’s first beach-only class, along with leading Kiriana Hirini and Bethanie Thomas to three straight appearances in the AVCA National Tournament. He also helped Hirini earn American Volleyball Scouting Report (AVSR) Global Player of the Week honors twice. Prior to joining UAB, Matthews spent five years (2007-12) as the head junior varsity and assistant varsity coach at Spain Park High School in Hoover, Ala. During his time with the Jaguars, his primary duties included attack, block, and setter training, helped the program reach the 2008 sub-state playoffs and he secured a 25 match winning record. ages 9-18 who competed on the local, regional, and national level, which includes leading the 14U team to a second place finish in the SRVA and a Junior National Tournament bid. Matthews began his coaching career in Odessa, Texas at the local youth league, private school/club levels, and it culminated with a position as the volunteer assistant at the University of Texas-Permian Basin in 1999. Under the mentorship of Steve Aicinena, Matthews was given both team offensive/defensive responsibilities, including serving, attacking, and blocking, as well as statistical reporting duties. During that same year the UTPB Lady Falcons earned a 23-12 season record and achieved its first ever Red River Athletic Conference championship in the program’s school history of NAIA division competition. In 2001, while attending Abilene Christian University, Texas, Matthews began his official competitive volleyball career playing for Dyess Air Force Base as a middle blocker. He has won and participated in both indoor/outdoor competitions all over the U.S. from New York to California and overseas including Italy, France, and England, and most recently has been a 2012 adult national indoors team finalist. Shawn credits his passion for coaching to his 10 years of working/volunteering in nonprofit organization, specializing in youth development through the Boys & Girls Clubs of America and various YMCAs. When he’s not coaching or working a volleyball camp yhe enjoys playing tennis. A native of Odessa, Texas, Matthews earned his B.B.A in Financial Management from ACU in 2004.